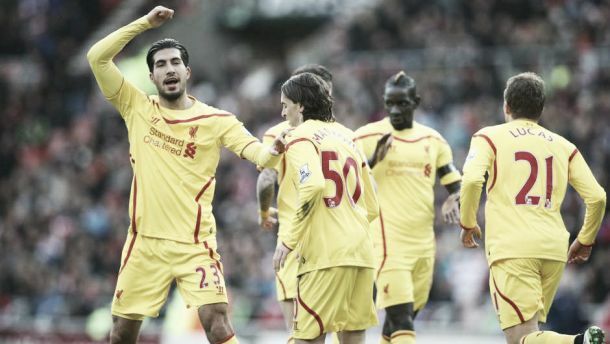 Should Emre Can be used in midfield or a defensive three? Can has found himself having to adapt to different positions and become a versatile player at Liverpool, following his summer move. But, where should Rodgers really play him? Emre Can, has only recently turned 21, and following his £8million pound summer move to Liverpool from Bundesliga side Bayer Leverkusen, has found his spells in the team interesting to say the least. He has been deployed as a make-shift centre-back in a defensive three formation, as well as playing CDM and CM at times in other matches for Brendan Rodgers’ men so far this campaign. So, where should he be used? He has already raised comparisons to experienced German midfielder Bastian Schweinsteiger, based on the fact that he can combine attacking and defending so well, and his versatile nature means that he can play two or three different positions without looking out of place. Liverpool’s defensive options are not that great upon first glance at the moment, meaning that Rodgers will be eager to put out his best defensive trio or quartet for every game. Lovren has been inconsistent at the best of times so far this campaign, whilst Touré is only really a squad rotation player, meaning adaptability is key. Skrtel seems to be the rock centre-back at the moment, but he himself, has some topsy-turvy times occasionally. Can plays there when needed for the team’s benefit, but it’s not his preferred position. He is normally a CDM/CM, but you can tell that he will probably be used in this role towards the end of the season, and perhaps more often following the end of the current campaign; given the fact that Steven Gerrard will leave in May – leaving a significant gap in midfield. Player watch: During their 1-0 win over Sunderland on Saturday, he played in two different positions during the match, and did so well and with composure. In the first-half of the game, he was part of a defensive trio which helped to snuff out any potential danger with the hosts lurking towards the box in short periods of the match. Steven Gerrard picked up a knock and had to be replaced at half-time, so Can slotted into midfield, using the extra space to his advantage as he was a constant threat down the right-hand side of the pitch. He forced Liam Bridcutt into committing a needless foul, getting the Scottish midfielder sent off for a second yellow card, just minutes into the second 45. He also won 100% of the duels that he got himself involved in, during the match. His passing and accuracy overall was over 90%, whilst he was a constant danger attacking-wise as he always looked to slot through Fabio Borini on the ball in the box; although the Italian’s finishing was not up to par.